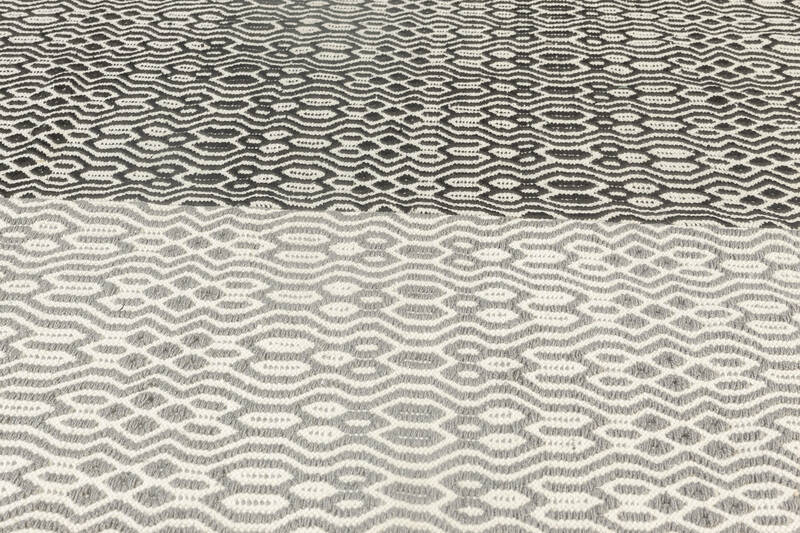 Custom and modern rugs by DLB show that we are dedicated to providing the highest possible quality in a timeless edition. 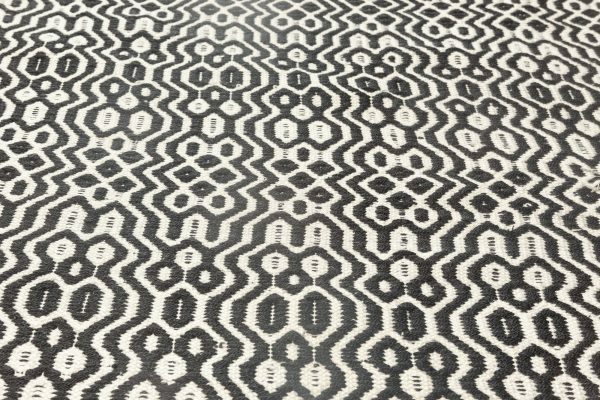 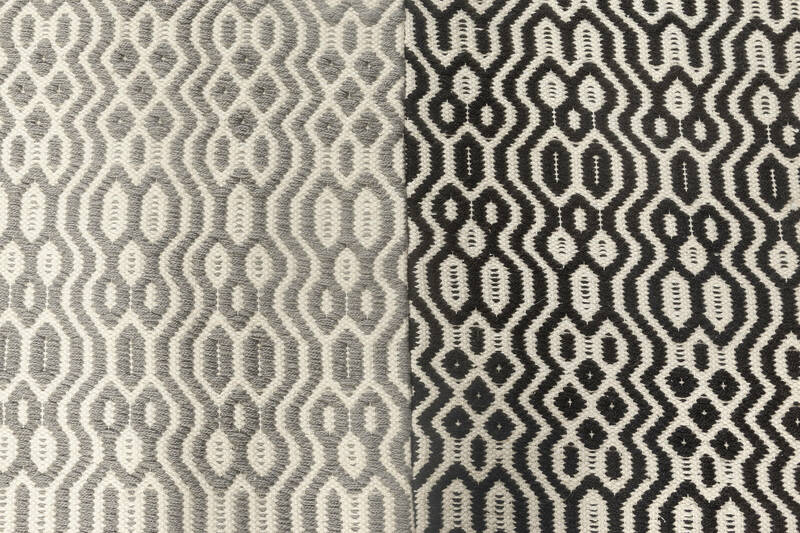 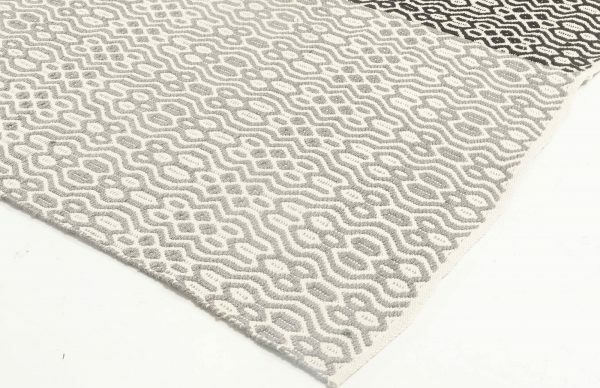 The contemporary flat weave rug before your eyes is one of the examples of how a centuries-old craft can be put in the context of present-day decorating trends. 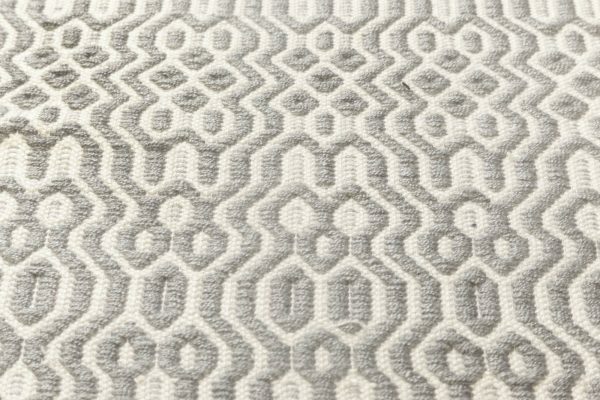 The carpet is made of separate pieces of fabric sewn together into a truly grand floor covering. 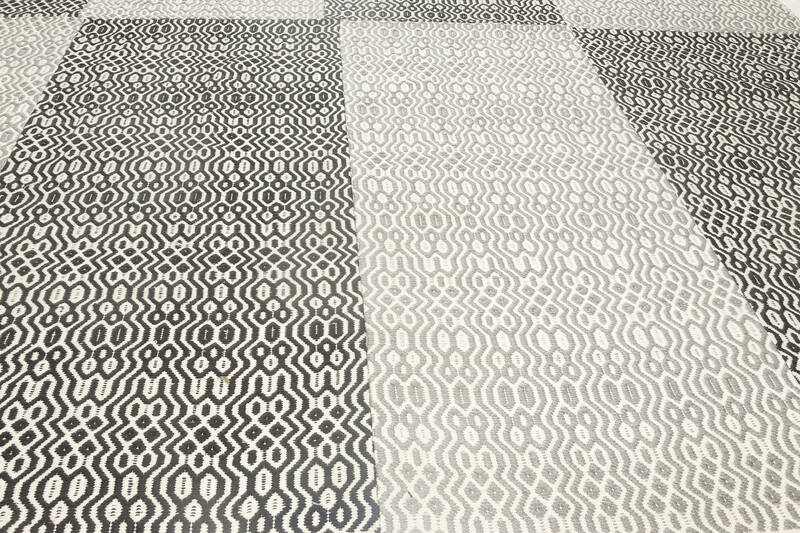 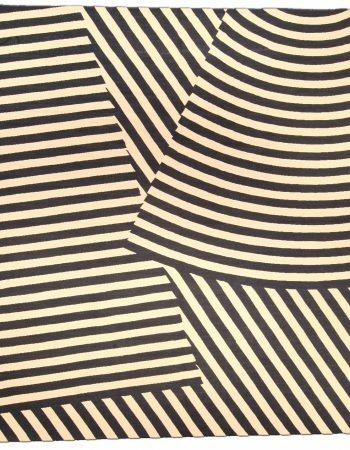 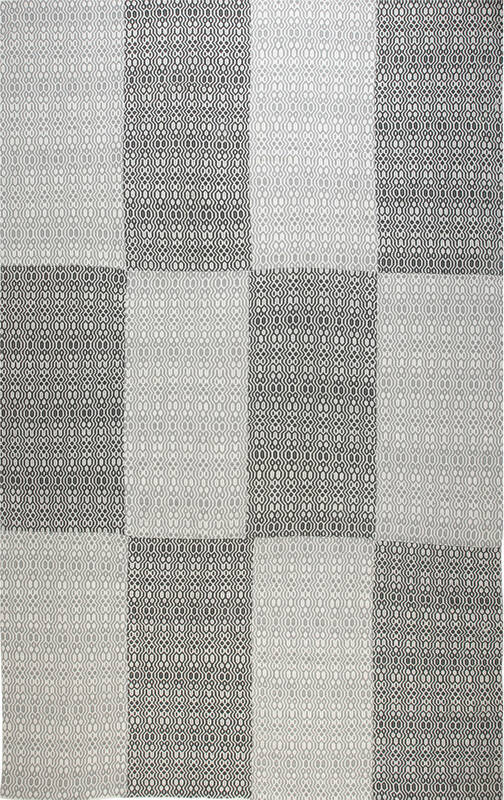 Although the geometric, abstract pattern is identical on all the elements, there are two colors appearing alternately like fields on the chessboard – black and light gray against the off-white background. 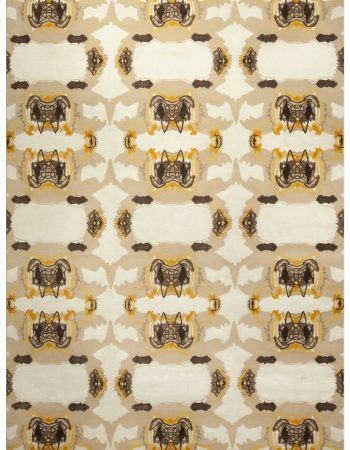 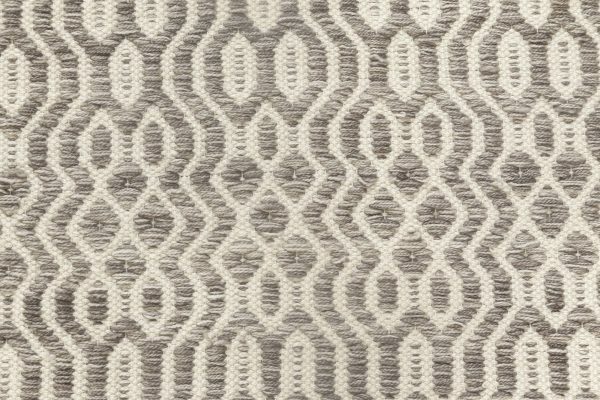 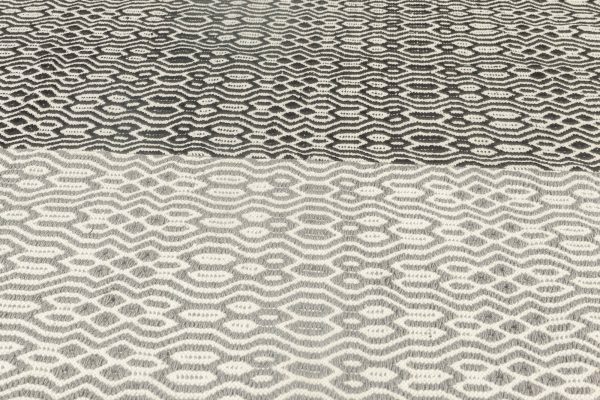 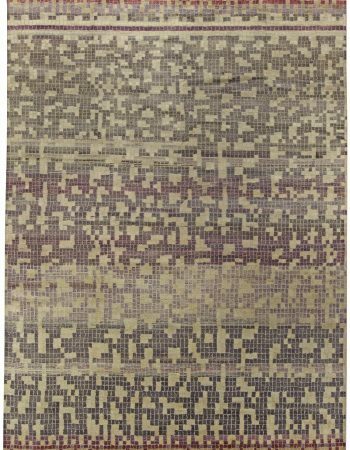 Minimalistic yet with a twist, this magnificent modern rug will enrich any kind of décor, from classic to state-of-the-art. However, the classy appearance is not the main strength of this contemporary flat weave. 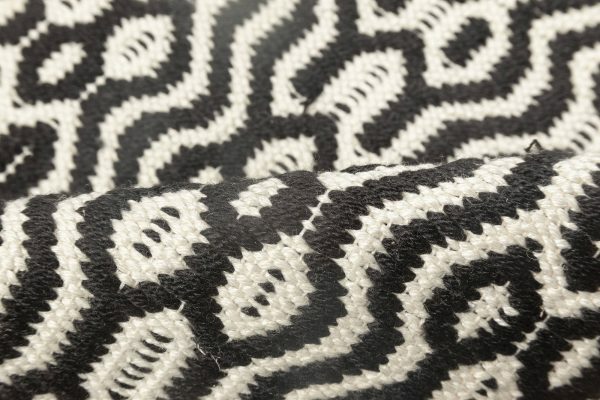 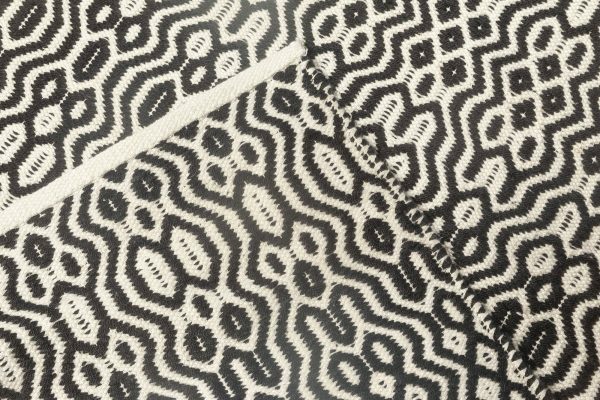 Its large body was thoroughly woven by hand of top-notch wool in accordance with traditional techniques. 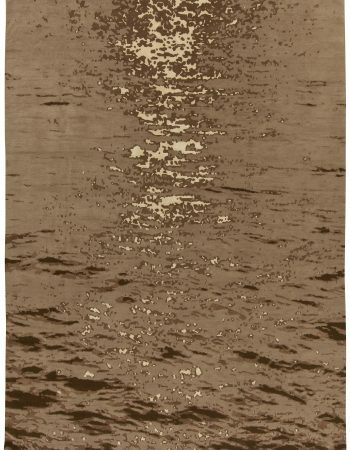 That way, the rug can boast of exceptional durability and flexibility. 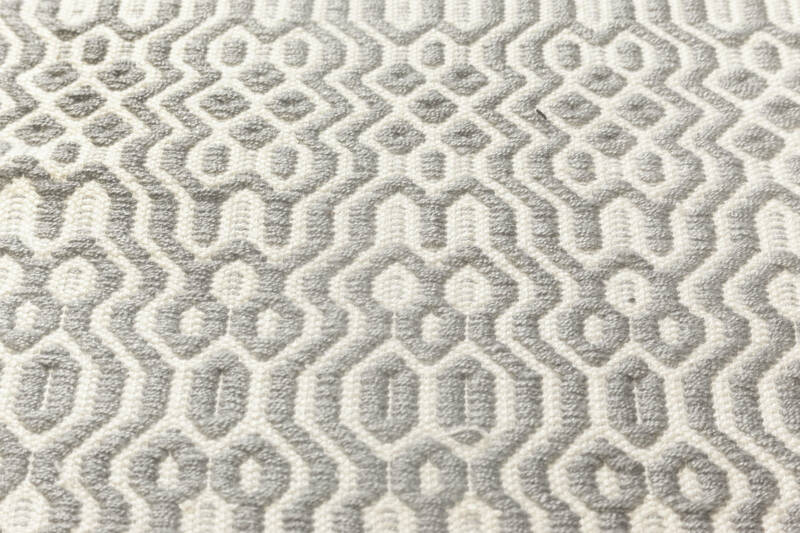 Under the condition of proper maintenance, the modern carpet will withstand years of usage without any signs of wear. 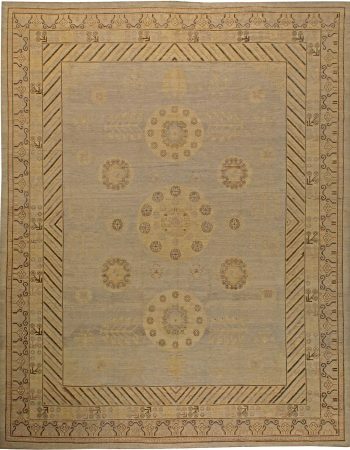 Well-made and absolutely universal, it is an investment rather than outlay that will prove its value over the years.